I too am in love with Vivian’s latest book. Beautiful job describing it. I popped over as she was talking about you, the gardens, etc. on one of her recent posts. I am crazy about Vivian too. She is a hoot and a half. You had the pleasure of meeting her in person and she you. Maybe someday I will meet Vivian. It’s on my wish list. Cheers! 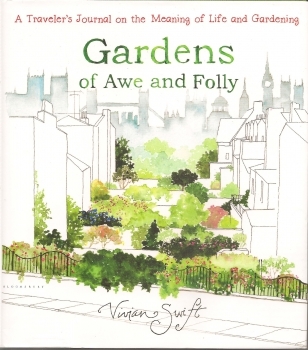 Merci tant, Ariane, for this wonderful review of Vivian’s new book. GoAaF is a joy and a marvel. I am loving every page and oh, those watercolor illustrations! What a great looking book, thank you for sharing, can’t wait to pick this one up!